Faberge jewellery is famous for its Imperial Easter Eggs and a wealth of irresistible and innovative designs. Faberge’s huge passion for unique design shines through in their collections such as the Faberge Heritage collection with its opulent, ornate pieces featuring mesmerising guilloche enamel, the Faberge Emotion line with the finest coloured pave set diamonds and gemstones, the Faberge Imperial range with its nostalgic, joyful designs and the Faberge watch collection with its extraordinary, enchanting timepieces. The Three Colours of Love collection is particularly well renowned for its gemstone-set anniversary jewellery suitable for spoiling loved ones. At W Hamond, we showcase the full range of Faberge eggs, rings, earrings, necklaces, charms, bracelets, bangles, cufflinks and watches, all which can be combined and harmonised perfectly with one another. 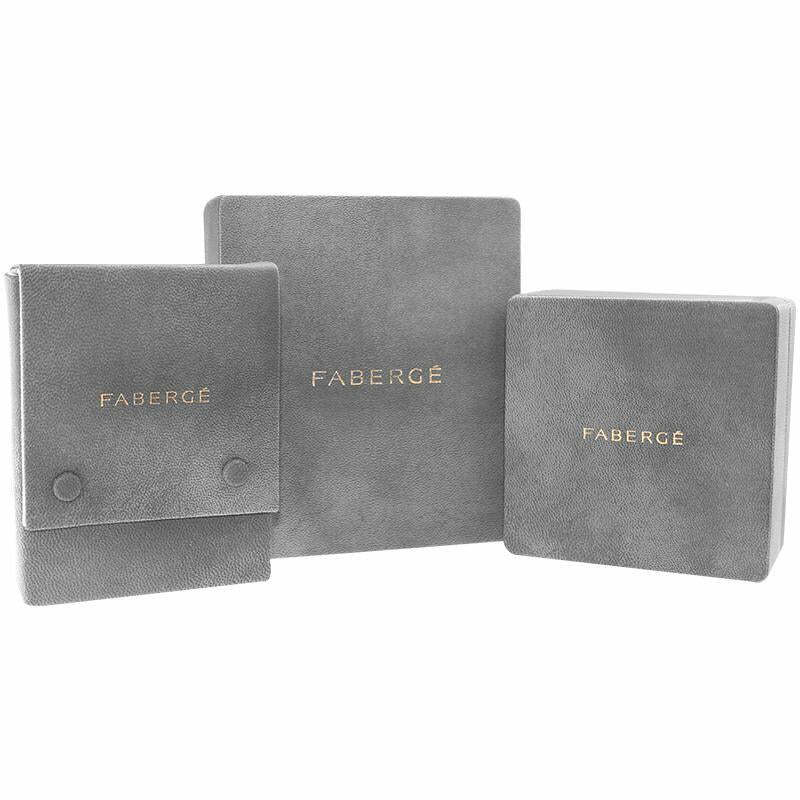 Faberge Jewellery is available online and at each of our W Hamond boutiques. The Faberge Imperial Collection is inspired by the jewelled splendour of the Imperial Romanov court, and evokes the rhythms of the Russian seasons, whether literal or metaphorical. The Simple I Love You White Gold Crossover Bangle features 3 dazzling round white diamonds of F colour and VS+ clarity which total 0.18cts, and a fine engraving of 'I Love You', set in 18ct white gold. In keeping with its fondness for delight, surprise and discovery, Faberge has concealed a ruby on the inside of the bangle. This bangle comes beautifully packaged in a unique Faberge presentation box with certificate of authenticity.